John Weston, from Brinkley Arkansas, combines fine songwriting with a Deep Delta Blues style in performances where he really delivers his material. His lyrics, which grow from his personal experience, reflect the humor and irony of daily life. 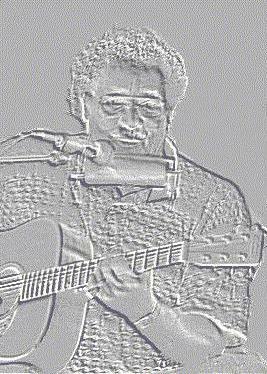 He has become a popular festival performer in the Delta and all over the world. You can also hear John on three CD's currently out. 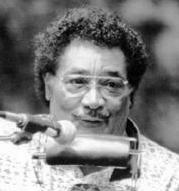 John began performing in 1970 and by 1977 had built a local audience in the Marianna, Arkansas community where he was living. John's performed as a solo for many years allthough he occasionally played with a band. In 1989, John won the Lucille Award (named after BB King's guitar) at the Handy Awards in Memphis. In 1995 he began performing as a duo with Little Rock slide guitarist, Mark Simpson. John's new CD "Got To Deal With The Blues" contains several cuts featuring only John and Mark. On April 20, 1996, John Weston and Mark Simpson performed in Jonesboro, Arkansas at Hairy Larry's. 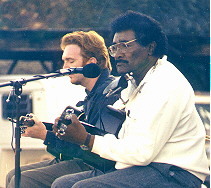 The performance was taped for broadcast on "Something Blue". John Weston performed at Blues Fest 97 on Saturday, August 30. Midnight Creeper is a label of Shade Tree Music, Inc.